Enamel is enjoying something of a renaissance in watch manufacturing. Many companies – from Seiko to Patek – are increasingly turning to the nearly forgotten art to decorate their dials. While it’s a slow and sometimes unforgiving process, the reward for mastering the technique is a uniquely alluring dial with a hue that will never fade. 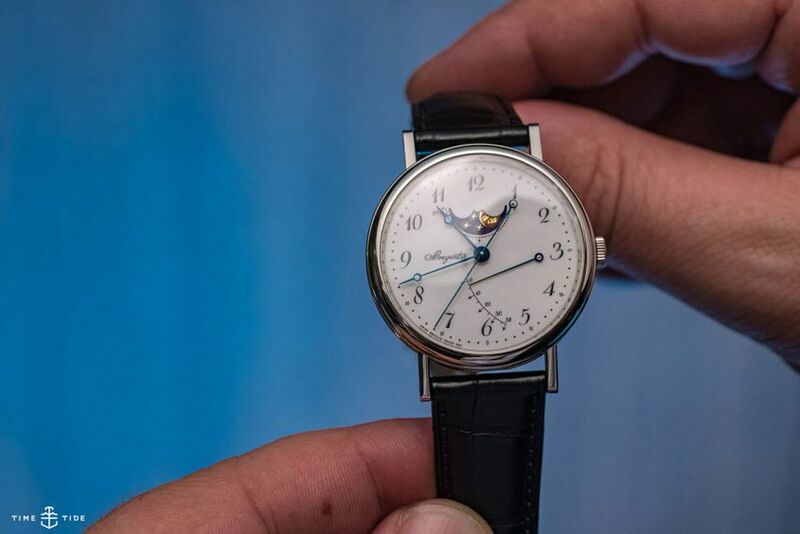 One company that has mastered the craft is Breguet – the gurus of guilloche also produce watches with some of the finest enamel dials in the industry. In fact, just this year they updated two of their classically styled pieces – the elegant Classique 7147, which we looked at earlier this year, and this more complex Classique 7787. Breguet has exchanged these models’ traditionally engine-turned dials for a pair of pearly whites. Both watches share the same style of grand feu enamelled dial, with Breguet numerals, whimsical star minute track, and stylised fleur-de-lis hour markers. However, there are a few extra details on the 7787, starting with a power reserve indicator that sweeps across the dial between three and six o’clock. Next is the smiling cutout at 12 o’clock, which displays the age and phases of the moon – with its stars and man on the moon set in gold against a night sky backdrop, it adds some romance to the watch’s old-world charm. The blued-steel hands are, of course, in customary Breguet style as well, and as elegant as ever – particularly the long and slender centre seconds hand. The 18-carat white-gold case has a diameter of 39mm and is 10.2mm thick. 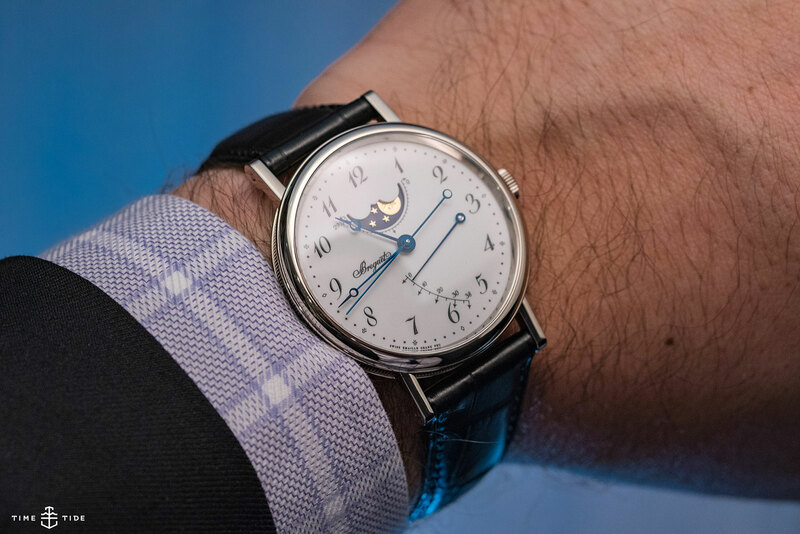 With its thin bezel and signature coin-edged sides, it’s classic Breguet all over, as are the slightly angled soldered lugs, which use screw pins to secure the alligator leather strap. 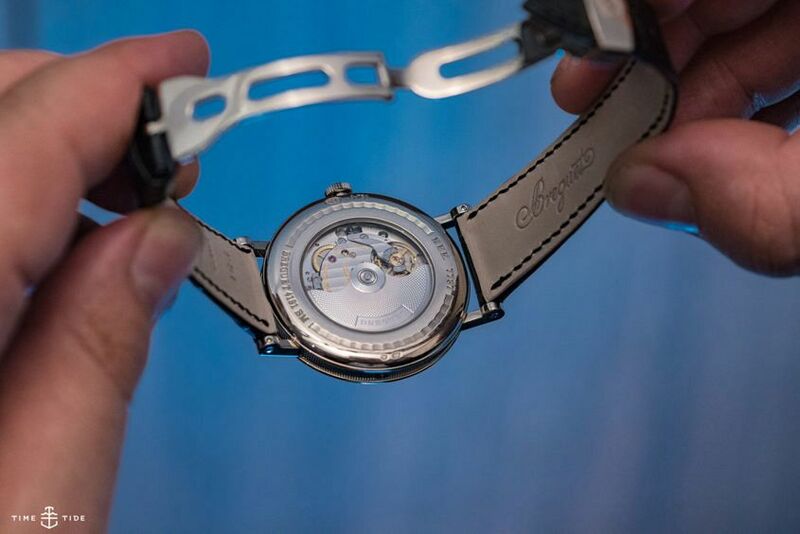 In contrast to its traditional looks, beating away inside is the self-winding 38-hour Cal. 591DRL. 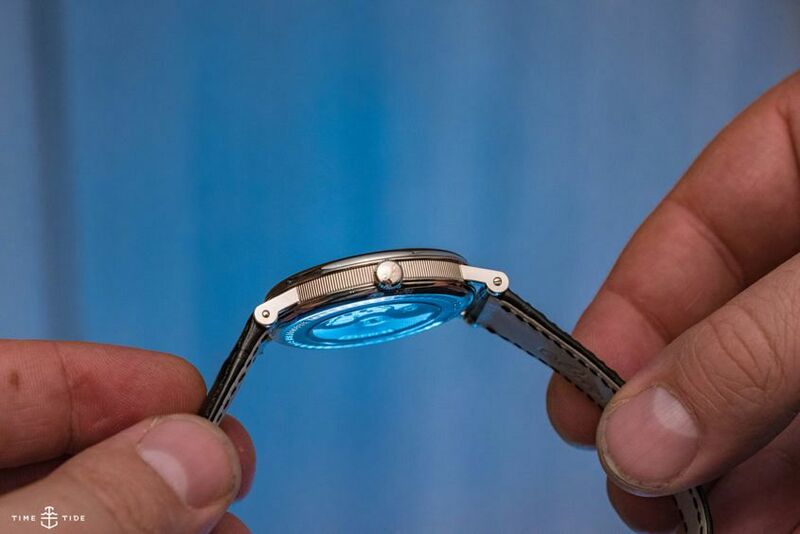 With a Swiss straight-line escapement and balance spring made from silicon, it’s about as modern as you can get in mechanical watchmaking today. At the nuts and bolts of it, the new Classique 7787 is all about refinement – Breguet striving to always stay ahead of their time while they pay tribute to watchmaking’s and their own illustrious histories. Breguet Classique 7787, in white gold with enamel dial, $38,800.